The facts are brutally straightforward. 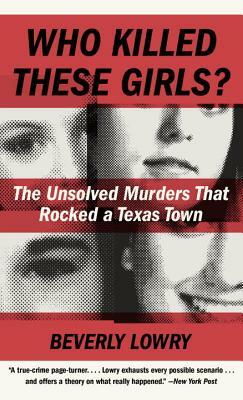 On December 6, 1991, the naked, bound-and-gagged, burned bodies of four girls--each one shot in the head--were found in a frozen yogurt shop in Austin, Texas. Grief, shock, and horror overtook the city. But after eight years of misdirected investigations, only two suspects (teenagers at the time of the crime) were tried; their convictions were later overturned and detectives are still working on what is now a very cold case. The story has grown to include DNA technology, coerced false confessions, and other developments in crime and punishment. But this story belongs to the scores of people involved, and from them Beverly Lowry has fashioned a riveting saga that reads like a novel, heart-stopping and thoroughly engrossing.